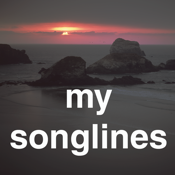 mySonglines is a simple geographic location data management system. Create, display, edit, save and share location names, descriptions, geographic coordinates and photos. Share commonly accepted gpx files by email or iTunes sharing and kml files by email. Import csv files prepared by spreadsheet. Locations are displayed as pins on a zoomable, scrollable map along with the user's GPS location. Location coordinates are available as latitude, longitude and UTM. Uses include personal guides to cities, parks, zoos and gardens, hiking waypoints, tour records, displays at large outdoor exhibitions, fishing spots and many more. Look forward to many enhancements designed to make mobile location data management, display and sharing flexible and simple.